Paulina Ramirez Niembro has a passion for culture and society. She loves to develop connections between people and ideas — and to understand why things work the way they do. 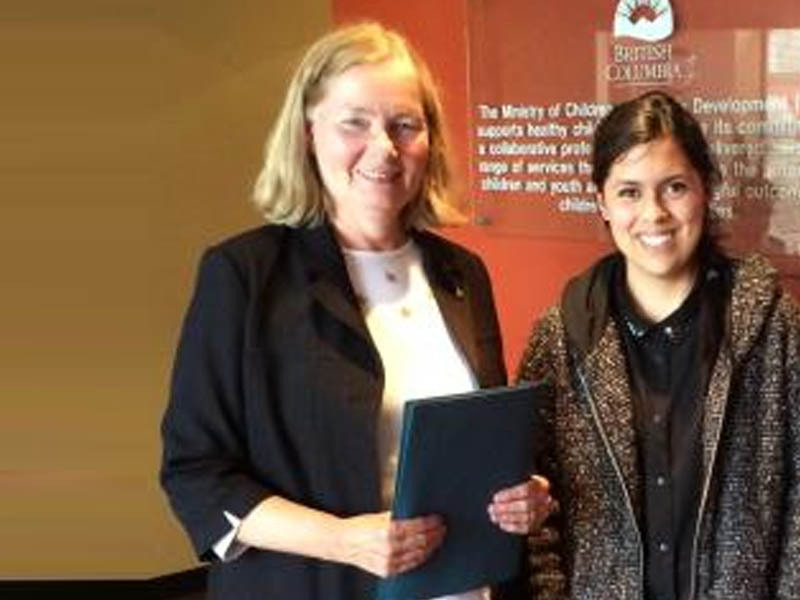 As a social-psychology major from Universidad Nacional Autónoma de México, Paulina was excited by the prospect of experiencing research in an entirely new culture this summer through Mitacs Globalink Research Internships, under the supervision of Professor Anne Marshall at the University of Victoria. Paulina is part of a team working on the Centre for Youth and Society’s “Stronger Together” research project that includes Indigenous community knowledge keepers and students from the Indigenous Communities Counselling program in the Department of Educational Psychology and Leadership Studies. She has assisted in building the knowledge base for two projects involving indigenous culture as it relates to youth mental health, and to youth cultural identity. She is also reviewing interview data on a research project which is developing new understandings to help aboriginal youth to make successful school-to-work-transitions. Ultimately, this project aims to partner with communities, schools, and agencies within British Columbia so that aboriginal youth may access culturally-appropriate resources to enhance their own well-being and success.